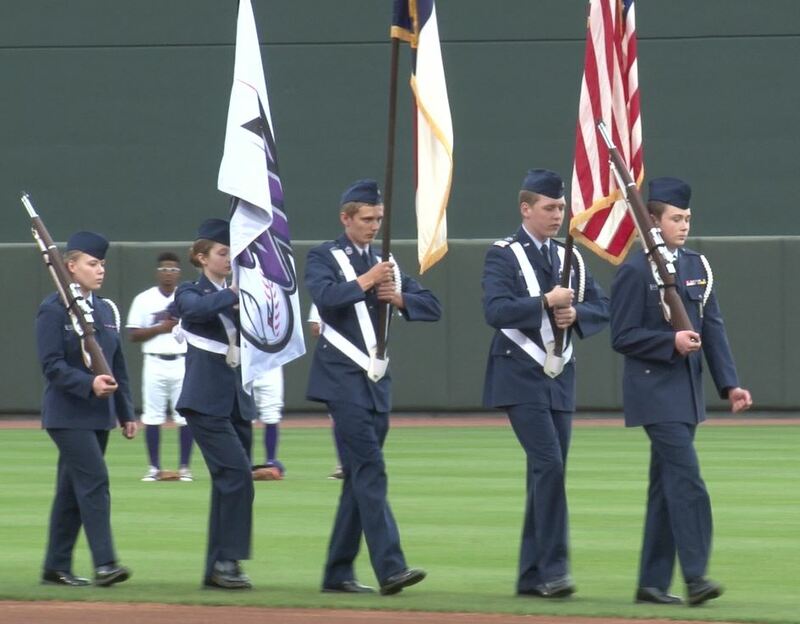 4/18/2017–WINSTON-SALEM, NC–After a year's long hiatus, the Winston-Salem Composite Squadron’s Color Guard performed the opening ceremony for the Winston-Salem Dash baseball team on 18 April 2017. Marching in perfect unison, the team presented the Colors in a flawless manner. The Dash is an A-Advanced baseball team in the Carolina League, playing home games out of BB&T Ballpark. The Winston-Salem Color Guard has been put in rotation to perform at Dash games once a month for the season. 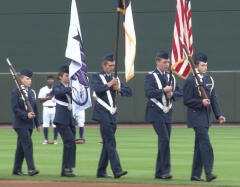 The Winston-Salem Composite Squadron will also perform volunteer tasks during special military days at the ballpark. The NC-082 team for the event included: Color Guard Commander C/Capt Matthews carrying the American Flag, C/CMSgt Fair carrying the North Carolina State flag, C/SSgt Mallison carrying the Winston-Salem Dash flag and C/TSgt Miller carrying a rifle. C/CMSgt Wakefield, of the NCLA (NC-825), carried a second rifle.